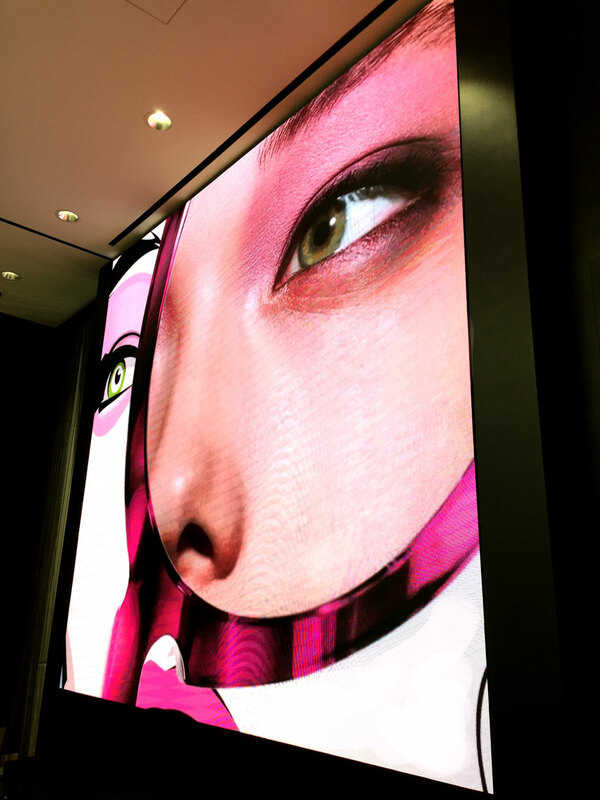 Inside South Coast Plaza—the largest shopping mall on the West Coast—a major cosmetics retailer received a complete makeover that included the installation of a sleek LED display. Located at the back of a stylishly remodeled boutique, the bright and vivid display is clearly visible from the concourse outside the shop’s front doors. This FINE PITCH Interior S|Video™ 3 mm LED display features Sansi's in-house diodes and contains approximately 750,00 pixels. The display measures 9 ft. wide by 8 ft. tall with a resolution of 896 x 836 pixels and will display contemporary, chic imagery generated by the brand. The two large frames attached directly to the space’s plywood wall, along with 12 rectangular modules that hold the LED panels and electronics in place, allowing for quick and easy installation. The display is recessed into the black wall, complimenting the modern decor of the establishment. SNA Displays employed YESCO, the electric sign manufacturer, to install the large display.